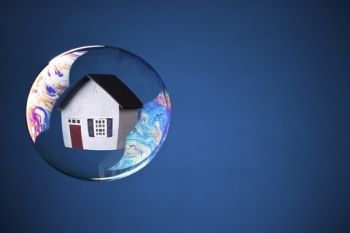 While the red-hot Canadian real estate industry has continually defied pessimists’ dire predictions for years now, a long-time observer is sounding the alarm on oversupply and other factors that might cause the sector to come crashing down. In a breakdown piece for the Financial Post, investor James West—who has covered Canada’s publicly traded and private companies for over three decades now—cautioned industry players to take notice of the very real danger posed by the 10 per cent vacancy rate in Toronto and Vancouver. “While steady demand can be seen in these major markets, one must question what portion of this demand originates from other Canadian cities,” West said. “That sort of balloon-squeezing doesn’t necessarily equate into a uniform national demand pressure, and as houses are sold in the smaller communities supporting resource extraction, movement toward cities is not necessarily properly accounted for as intra-border migration,” he explained. West also pointed at the failure of the federal government’s Immigrant Investor program, which provided visas to millionaires on the condition that each of them would lend Canada $800,000 over a period of five years. The program shut down in 2012 when an enormous number of nouveau riche Chinese overloaded the system. In addition, the incessant hammer blows on the Canadian economy stemming from the sharp declines in the value of oil and gas worldwide has led to weaker purchasing power across all levels of society. “Like the pebble in the proverbial pond, the onset of business failures could catalyze radiating waves of dependent enterprise collapses, which could contribute tremendously to a sudden evaporation of demand for Canadian residences,” West warned. A crucial side effect of this development is that the ailing energy sector might end up defaulting on its loan obligations to financial institutions. “This would likely cause the banks themselves to become more conservative, and tighten lending policies, making it harder for individuals to finance home purchases,” West stated.